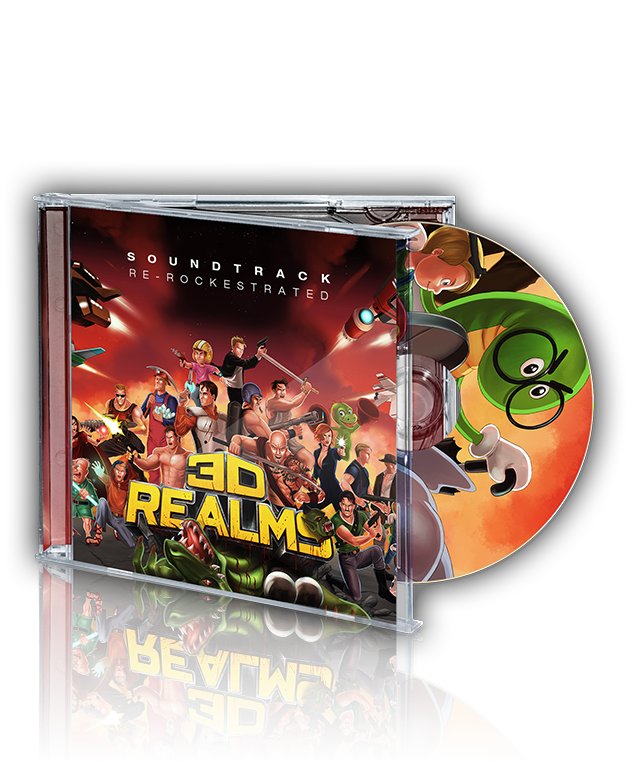 3D Realms Anthology Re-rockestrated combines classic tunes with contemporary talent to produce a rockin’ tribute to the bleeps and bloops of 3D Realms games gone by. Interceptor Entertainment’s Andrew Hulshult revives classic tracks with cutting-edge technology in 3D Realms Anthology Re-rockestrated. With 9 updated tracks from across 8 legendary games, Re-rockestrated lets you listen to our legacy like you've never heard it before. Available separately or as part of the 3D Realms Anthology.